I didn't even know it was a "thing." And then this local pop up appeared, and he finally opened his own restaurant in Berkeley. It is kinda sorta like if pastrami and corned beef had a non-vegan love child. I tried it yesterday. It was quite tasty. Not sure how hard it is to find outside Montreal. Mmmm, brings back memories of Ben’s. happy memories of Bens. A must stop whenever I visited Montreal years ago. I shook his hand every time I left the restaurant. He will be long gone now. Is it still operating? A great meat sandwich. A Montreal institution. Hope it still runs today. The best. No, closed in 2005 or 2006 I think. It was on the downhill since the early 1990s, like much of Montreal. I think there was some issue about keeping the building intact, but Bens itself is long gone. Schwartz's is still running as far as I know. standards probably started to slip once the old boy was gone. I think I last went in early 90’s. Happy memories. I'll take Lester's over Schwartz's any day. Had a smoked meat sandwich there less than two weeks ago. 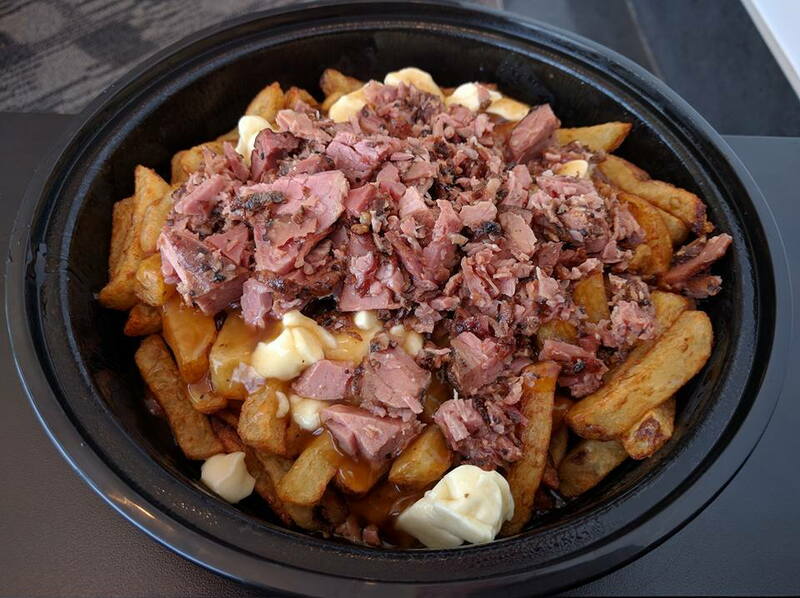 Smoked meat poutine from Lester's at Montreal Airport. I had poutine for both my first and last meal on that Montreal trip. I like Dunn's. The smoked meat isn't as good as Lester's or Schwarz's but it's a great place to eat after a night of boozing in Montreal and kill time before catching the morning flight back to YYZ. Darn...we almost always fly Porter. Need to switch over to American. My whole family now swears by Dunn's. The cheesecake there is pretty good too but it's tough to keep enough space for it. Both my parents having met in Montreal and being pretty big fans of smoked meat... I now have to question whether my name has anything to do with Ben's. Dunn's pastrami also sells frozen in Costco so that's pretty cool too. Fumare Meats in Chicago serves Montreal style pastrami and it's delicious.